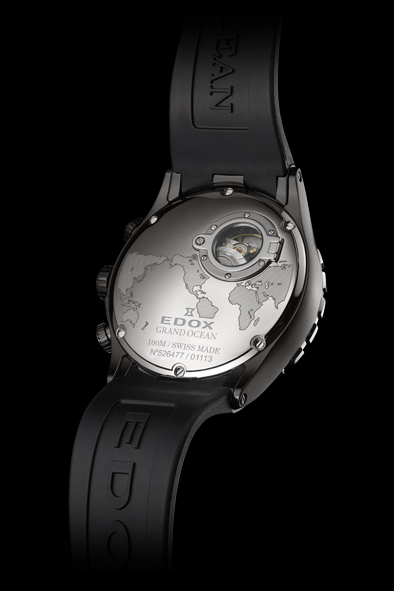 Edox is the first watchmaker to make a substantial, long-term commitment to motorized water sports. The experience the company has gained as official timekeeper for prestigious events like the Class-1 World Powerboat Championship has resulted in some of the finest timepieces to ever grace a sailor’s wrist. 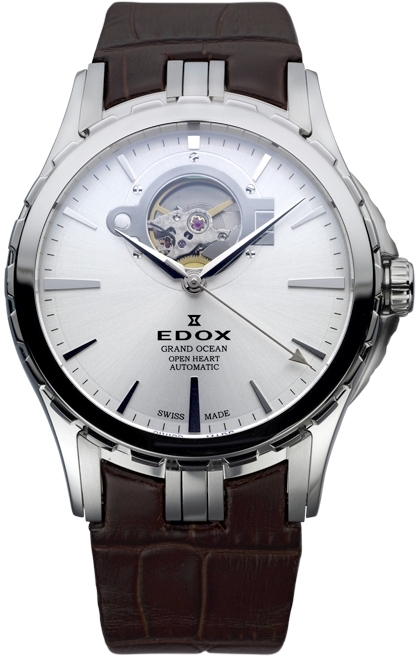 The impressive Edox Grand Ocean Open Heart Automatic is a watch that any mariner would be proud to wear. This spectacular timepiece features an “open heart” dial with a window revealing the moving balance wheel of the proprietary Edox 85 movement. 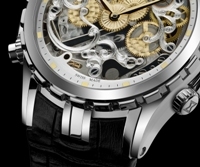 There is a second screwed in and engraved “porthole” on the back of the watch, revealing another aspect of the movement at work. 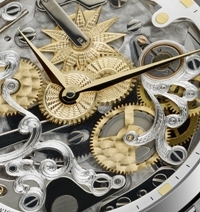 This impressive movement, based on the 25-jewel ETA 2824 is the heart and soul of this exceptional timepiece. Protecting this heart is a ruggedly built 41mm 316L stainless steel case with integrated crown protection that is water resistant to 300 feet. An elegant silver dial with nickel indices looks equally at home on land or sea. The watch is equipped with a beautiful brown leather strap that has been fitted with a convenient stainless steel fold over clasp. With an anti-reflective, scratch resistant sapphire crystal and a protected screw down crown, this watch is ready for anything. 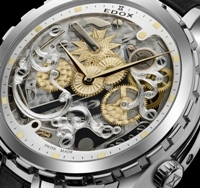 You don’t have to be an old–salt to appreciate Edox’s nautical expertise. This beautiful and functional timepiece is equally at home in the boardroom as it is on a Class-1 powerboat. If you’ve got your heart set on this fabulous example of the watchmaker’s art, set sail for your authorized Edox dealer and reserve your Edox Grand Ocean Open Heart Automatic today. The entire Edox Grand Ocean collection pays tribute to the world of regattas, that nautical discipline where technical sophistication, precision and team spirit make all the difference. 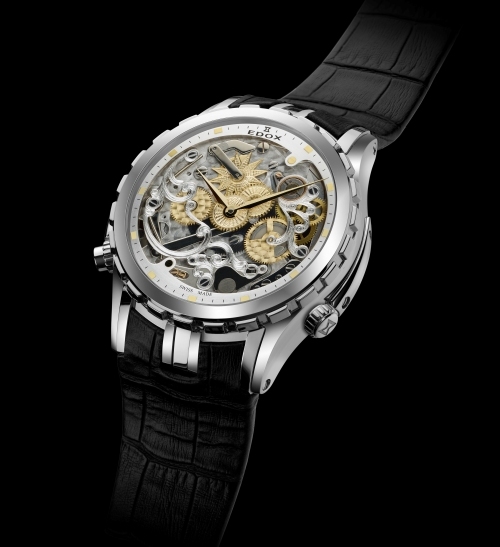 To illustrate this philosophy, the Grand Ocean collection now features the new Automatic Chronograph, which will be displayed at Baselworld 2011. Operated by a powerful and reliable mechanical chronograph movement, the new Grand Ocean is available in a version with a black PVD finish that evokes the dizzying depths of ocean abysses. Besides the dial featuring the classic wind rose of the Grand Ocean collection, the seconds hand represents the famous nautical compass indicator. The new Grand Ocean Automatic Chronograph features luminescent indexes that provide optimum legibility at all times of the day, while a “tachymiler” embellishes the flange, enabling the user to measure the speed of a moving object. 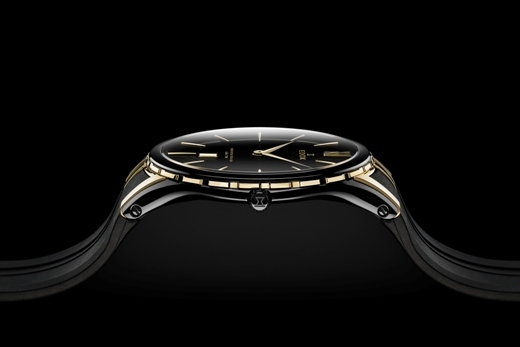 The case back is engraved with the typical Grand Ocean motif, with its porthole allowing a penetrating view into the very heart of the movement. 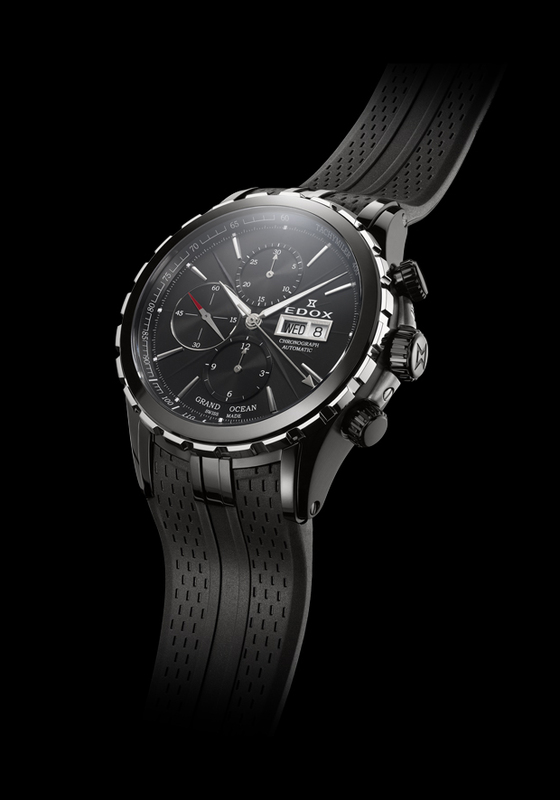 Fitted with a black rubber strap that is very comfortable to wear, the watch is water-resistant to 100 meters. The new Grand Ocean Automatic Chronograph has an elegant, sporty, luxury look, while at the same time offering all the classic, practical functions. Edox Grand Ocean, a complex luxury watch collection, fully embodies the spirit and philosophy of the Sea Dubai Sailing Team. 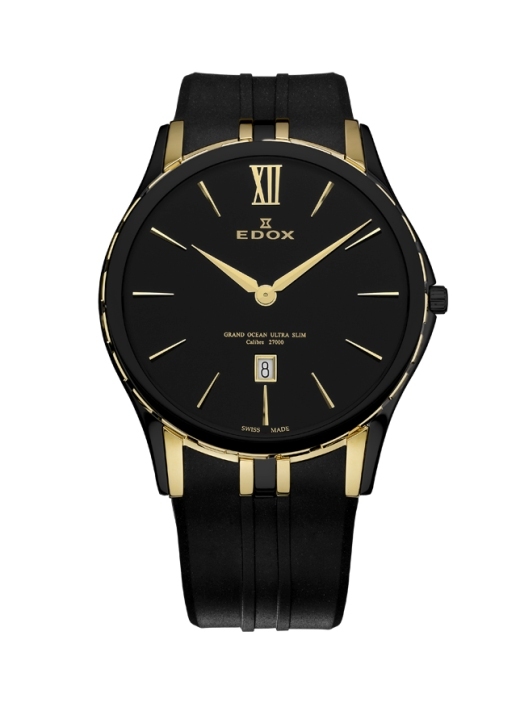 Seeing the new luxurious men’s ultra-slim Edox 27033 357JN NID Grand Ocean Calibre watch with calendar is believing!